The premiere for House of 1817: The Movie. 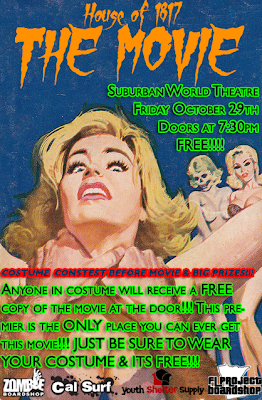 Friday Oct. 29th. 7:30 PM Free! 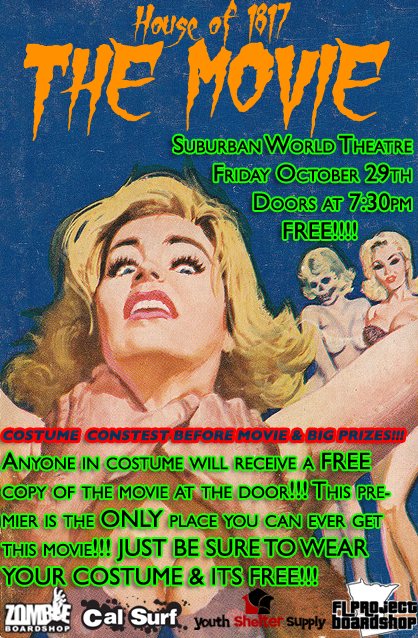 Plan your costume carefully as there will be great prizes for the costume contest, and anyone who shows up in costume will receive a free copy of the movie on DVD. This premiere will be the only place you can EVER get a DVD. they will not be for sale. Get Spooky and we'll see you all there. 2010 - Copyright © cal surf All rights reserved.